FBI Director Chris Wray on Wednesday defended the FBI's background investigation of new Supreme Court Justice Brett Kavanaugh, saying the work was limited in scope and that the "usual process" was followed by his agents. 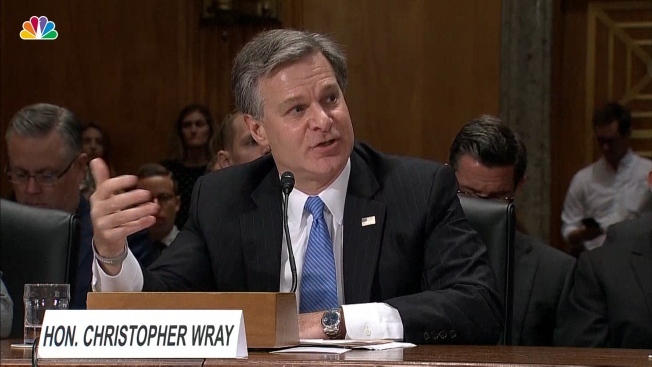 Wray's comments at a Senate committee hearing on national security threats were his first public statements about the bureau's investigation into Kavanaugh's past and allegations of sexual misconduct dating from Kavanaugh's high school and college years. That process has faced bitter criticism from Democrats, who have complained that the White House constrained the FBI and worked with Senate Republicans to narrowly define the parameters of the investigation. The investigation lasted a week and did not include interviews with multiple people who said they had relevant information to share about Kavanaugh's past. Republicans say the FBI reached out to 11 people for interviews, including a Yale University classmate of Kavanaugh's who had accused him of exposing himself to her in college, and that 10 people agreed to be questioned. The FBI did not interview Kavanaugh or a California college professor who had accused Kavanaugh of assaulting her when they were high school students. 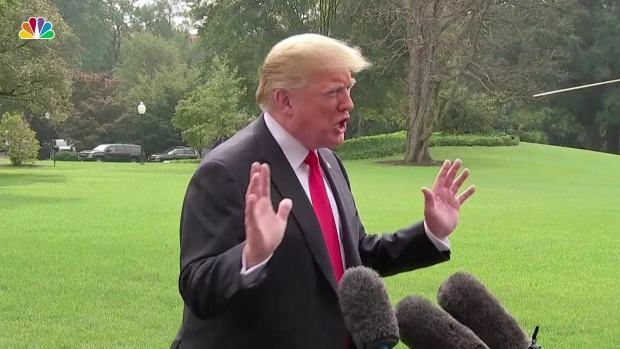 President Donald Trump said Monday that new Supreme Court Justice Brett Kavanaugh, who was confirmed after facing allegations of sexual misconduct, was "caught up in a hoax that was set up by the Democrats." The Senate confirmed Kavanaugh to the Supreme Court by a 50-48 vote on Saturday. Wray, responding to questions from Sen. Kamala Harris, D-Calif., said that unlike criminal or national security investigations, the FBI's authority in background investigations is determined by the agency that requested it — the White House in this case. "I think I would say that our investigation here, our supplemental update to the previous background investigation, was limited in scope and that that is consistent with the standard process for such investigations going back quite a long ways," Wray said. U.S. 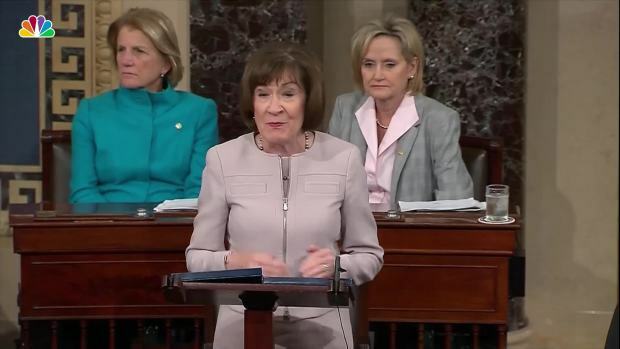 Senator Susan Collins, R., Maine, gave a speech in the Senate on Friday to explain why she would vote to confirm Supreme Court nominee Brett Kavanaugh. He said at another point that there had been communication between the FBI's Security Division, which includes background investigation specialists, and the White House Office of Security. Wray said he had spoken with FBI specialists "and they have assured me that this was handled in the way that is consistent with their experience and the standard process." Asked by Harris who determined that the FBI would not interview the professor, Christine Blasey Ford, or other witnesses who had information, Wray replied, "The investigation was very specific in scope, limited in scope, and that that is the usual process and that my folks have assured me that the usual process was followed." Wray declined to answer a question from Harris about whether the FBI had investigated whether Kavanaugh had lied to Congress under oath. "That's not something I can discuss here," he said.